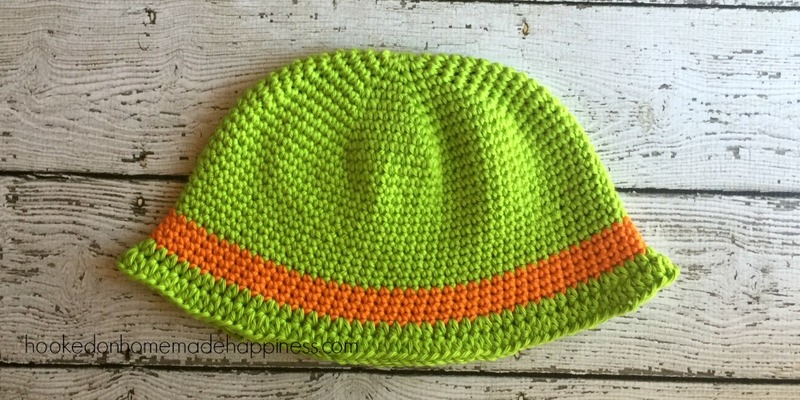 This Easy Toddler Sun Hat is a great beginner hat project and only uses a single crochet. 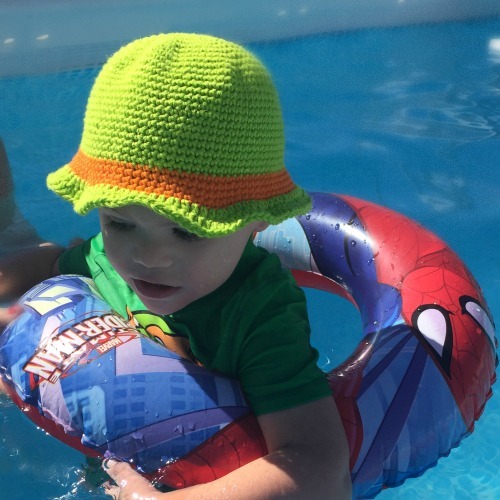 It worked great in the pool because of the cotton yarn. It’s comfortable, light, durable, and works well in water. Cotton yarn is my go-to for summer projects. 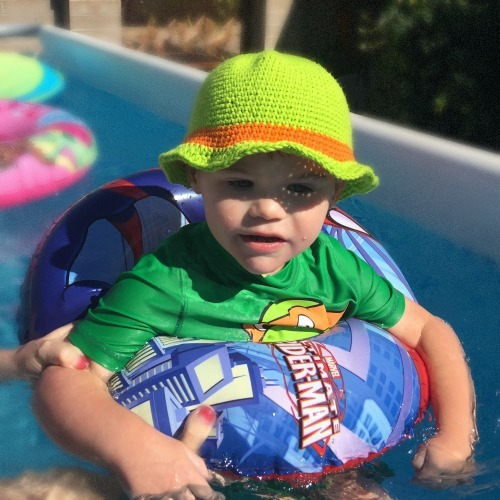 And you can see the hat worked well to keep a lot of the sun out of my little guy’s face. I promise he did enjoy the water… eventually. 😉 Now he’s like a fish!